Anyone who has ever used Netflix knows about their weird categories. There are definitely certain categories which seem outrageous on the surface but the purpose of such categories is right. They are obsessed with trying to learn what exactly their users want to see. They are not a company which pulls categories out of nowhere. Everything is backed by keywords and data. As SEO is more and more customizable, there’s a lot to learn from such obscure categories of Netflix and drive more traffic with focused long-tail keywords. 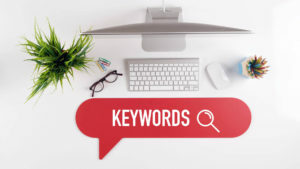 Keywords are still very important in the industry. Apart from concentrating on the theme, you can’t just ignore the vitality of keywords. Why does Google have a Keyword Planner if you think keywords are not so necessary? What makes the Netflix categories so attractive, is that they’re created entirely based on the behavior of the customers. They not only keep random things together but they also give their users the best possible user-experience. As long as keyword research is concerned, everyone requires being obsessed with users. People should look for behaviors and trends to help find terms which can easily reflect the requirements of the people whom they’re trying to target. SEOs require looking at how users interact with the websites to learn more about the needs and requirements. Though a large number of paid tools can offer us powerful and effective user data, there is only one free tool which can be used by anyone and that is Google Analytics. It has come a long way since the last few years and if you’re still using it only to track bounce rates and traffic, you’re missing out on a host of opportunities. We may not any longer get access to keyword data but the data which we have access to, is pretty useful. Demographics and Interests section under Audience are 2 of the most powerful tools. Both these offer details and insights about the visitors of a site and assist us in developing more user-centric keywords. You can see the average gender and age of your users in the Demographics Overview section. You may even click on the Gender or Age tab to check out how trends keep changing over time. So, we see that the obscure categories of Netflix have a lot of data and science behind them. Use it to uncover new opportunities and reach out to more people online.